We already shot peen components for a number of customers utilising both wheel and air nozzle machines. The increasing demand for this process which gives components significant performance benefits has led us to purchase additional equipment to increase our capacity. 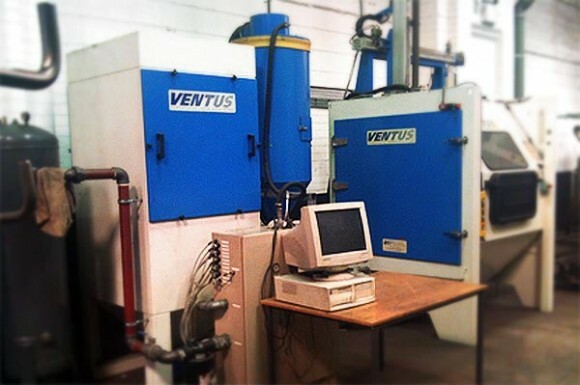 The latest shot peening addition is a 3 axis directional air nozzle machine manufactured by Ventus. This machine enables us to shot peen larger and more complex components and has significantly reduced our lead times for processing existing components. If you would like to discuss the benefits of shot peening or would like us to quote for peening your components, please call 01484 850361 and ask for our Technical Department.